Jomtien Complex. 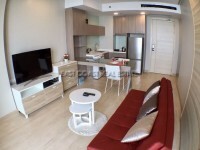 This high floor two bedroom apartment is located in the ever popular Jomtien Complex Condotel. 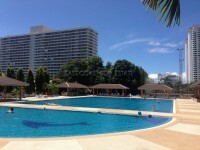 Centrally located right in the heart of Jomtien and only 150 metres from the beach. A spacious 133 sq.m. 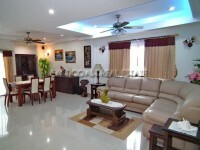 apartment offering two bedrooms, two bathrooms and oversize balcony with sea views. The condo has been renovated and features high ceilings, marble flooring, fitted European kitchen, washing machine, full air con and free Cable TV. The building is well maintained and has 24 hour security, large communal swimming pool, 2 tennis courts, covered parking, sauna, gym, key card access and CCTV. It is available for long term rental of minimum 6 months.